Get ready to start your (mortal) engine. Let’s face it: a good fantasy movie comes few and far between. What’s even rarer are good movies that are based on novels. More often than not, when you add two and two together, you’ll get a hot mess: a movie that does not do the book justice, or a movie that does not bring fantasy to life. But that’s about to change really, really soon! In December, one the year’s most anticipated fantasy film will be hitting the silver screen and judging by its trailer, we have a feeling that it’s the fantasy film we’ve all been longing for. 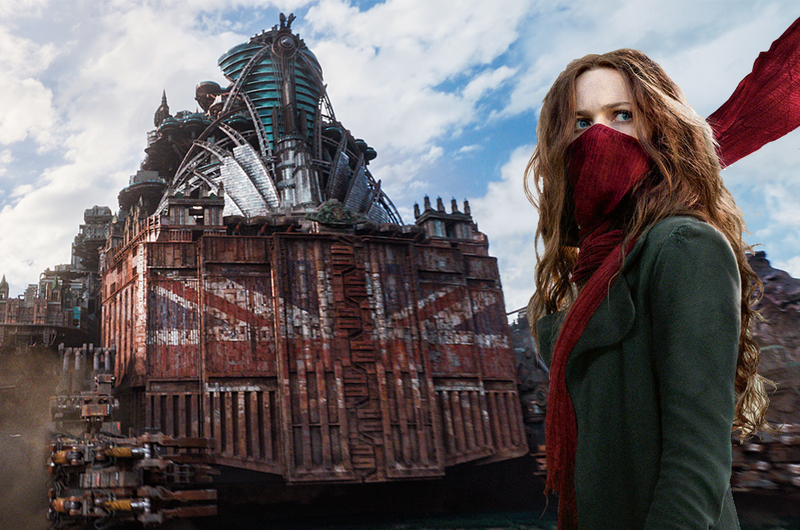 'MORTAL ENGINES' revolves around a mysterious young woman named Hester Shaw. Hundreds of years after civilisation was destroyed by a cataclysmic event, Hester emerges as the only one who can stop the menacing, gigantic London — now a giant, predator city on wheels — from devouring everything in its path. Joining her for the ride are Tom Natsworthy, an outcast from London, and Anna Fang, a dangerous outlaw with a bounty on her head. 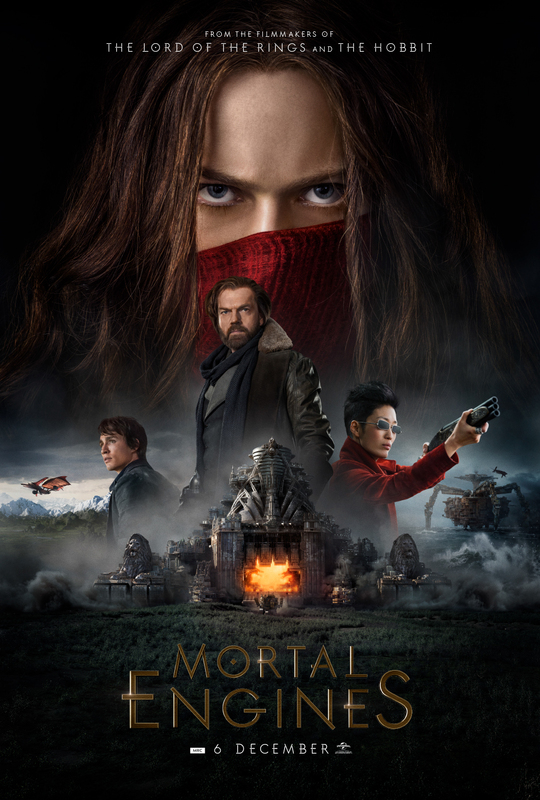 All Most good movies come from a great novel (sorry, ‘Twilight’ and ’50 Shades of Grey’, we’re not talking about you), so you’ll be delighted to hear that ‘MORTAL ENGINES’ was adopted from a critically-acclaimed young adult novel series. Written by British author Philip Reeve, ‘MORTAL ENGINES’ is the first book in the Mortal Engines Quartet series. There are four Mortal Engines books in total: Mortal Engines (2001), Predator's Gold (2003), Infernal Devices (2005) and A Darkling Plain (2006). 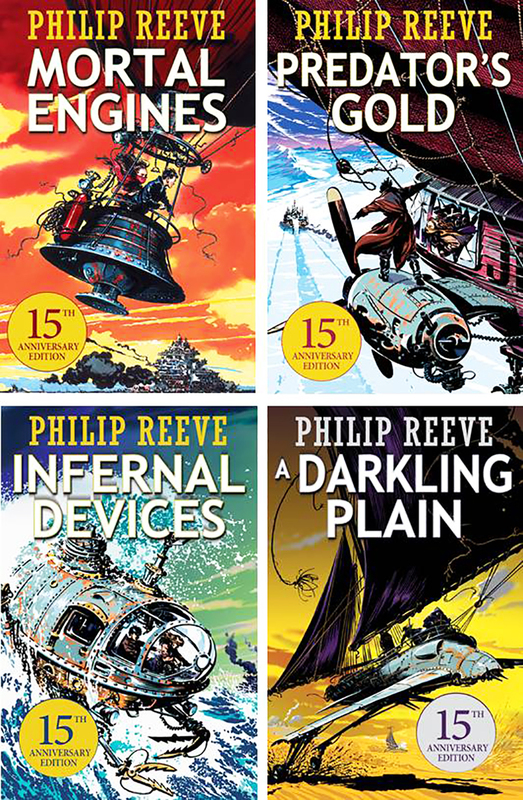 Mortal Engines the novel has won several book awards, including the Nestlé Smarties Book Prize, and was shortlisted for the 2002 Whitbread Award. When someone mentions ‘The Lord Of The Rings’ films, you’ll think of huge earth-shattering battles, jaw-dropping special effects and memorable characters. So, it’s a good thing that one of the most ambitious fantasy novels of the past decade will also be produced by the same guy who made ‘LOTR’ a success. Oscar Award-winning director Peter Jackson bought the rights from Reeve to bring the books to the silver screen in 2008, and he’s been working on it ever since. Jackson and his famed production company Wingnut Films – which picked up a total of 11 Academy Awards including Best Picture and Best Director for the third ‘LOTR’ film – oversaw the entire production of the movie. Don’t worry, ‘MORTAL ENGINES’ is in good hands. You know how sometimes you’re driving your trusty little Proton Saga on the highway, and you’re being tailgated by bigger and meaner BMWs or Toyota Alphards and you’re trying very hard to survive the journey home? That’s the basic gist of the ‘MORTAL ENGINES’ film…only grander and more epic! Set in a post-apocalyptic steampunk world, the Earth we know has been devastated by something called the ‘Sixty Minute War’ which threw the entire planet into total chaos. To escape the earthquakes, volcanoes and other environmental instabilities, entire cities are now mounted on wheels and motorised, allowing them to prey on one another for resources. The biggest bad of them all is London, now known as a predator city because they eat smaller cities for breakfast, lunch, dinner and tea time. It is up to the main characters we mentioned above to stop London dead in its tracks. You know a film is going to be a visual spectacle based on its budget. According to IMDB, ‘MORTAL ENGINES’ has a budget of more than USD100mil (RM419mil), so you know the production is going to be top notch. Most of the filming was done in New Zealand, just like the ‘Lord of the Rings’ movies. Also, entertainment website Moviefone revealed that a whopping 63 sets were built in Peter Jackson's studio just for the movie. Now, that’s how you make a blockbuster! #5 The Minions are in it! If you’re a fan of the yellow beings, then you will enjoy this little Easter egg. If you’re not, don’t worry: it’s just one small little scene. According to this website, you can spot the Minions in one of scenes in the movie, which we will not spoil for you. Fun fact: in the novels, humankind has mistaken Mickey Mouse for a god, but due to copyright issues, the Minions were subbed in. ‘MORTAL ENGINES’ is set to open in cinemas nationwide on 6 December 2018. Was 'Polis Evo 2' Inspired By These Real-Life Malaysian Hostage Situations?